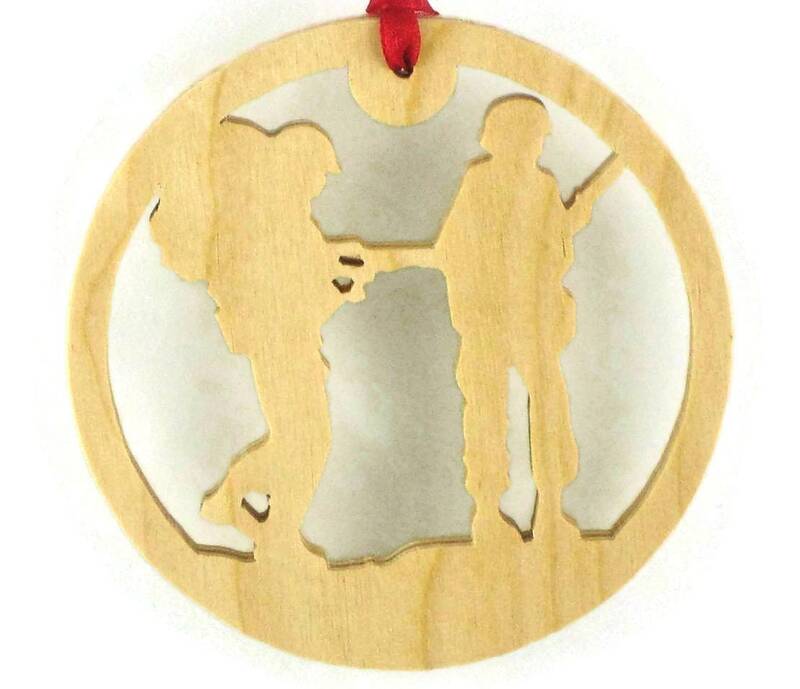 Soldier Christmas Ornament was cut out by hand ( Handmade ) using a scroll saw. 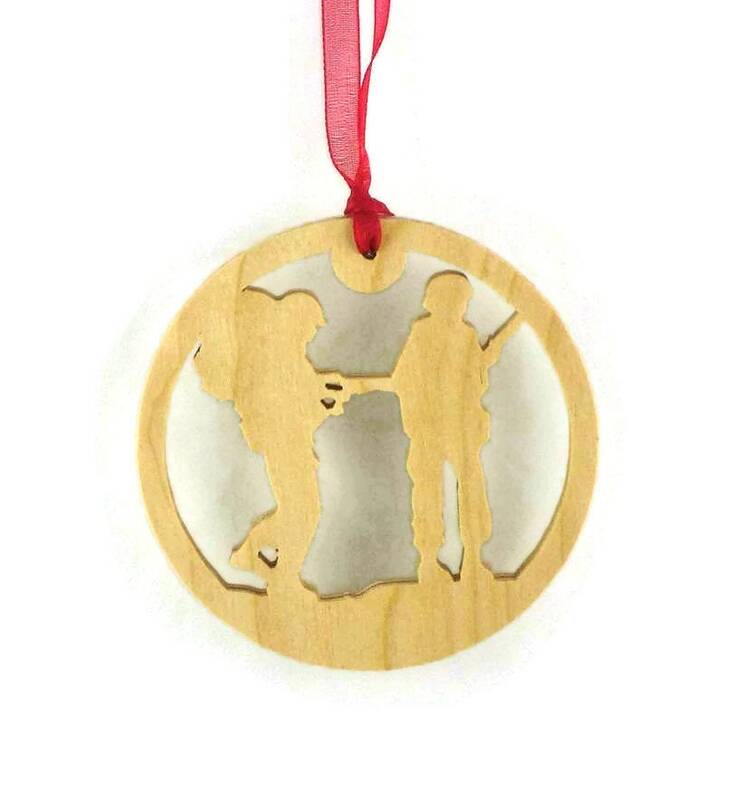 This Soldier Ornament features two armed soldiers all encased into a 4 inch diameter Christmas ornament. 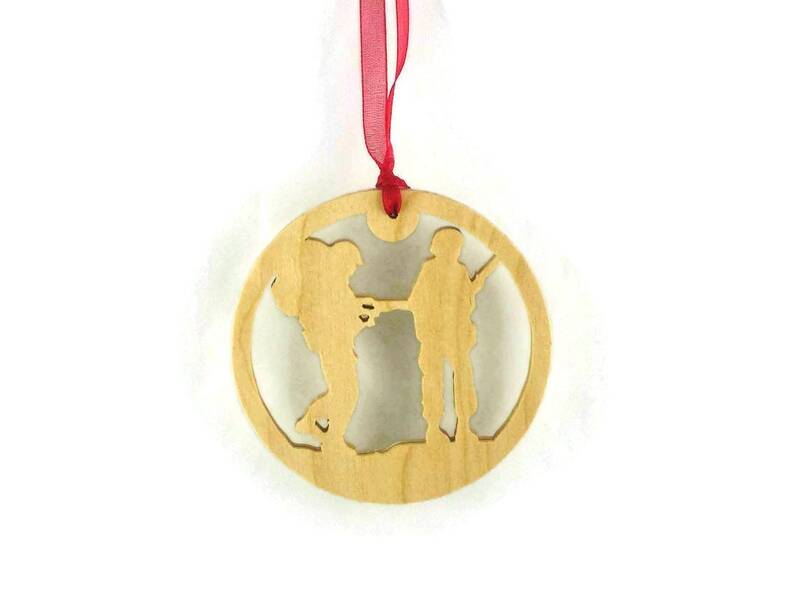 Made from 1/4 inch thick Birch plywood. Finished with a natural color Danish oil to bring out the natural beauty of the wood as well as to protect its natural beauty for many years of enjoyment. 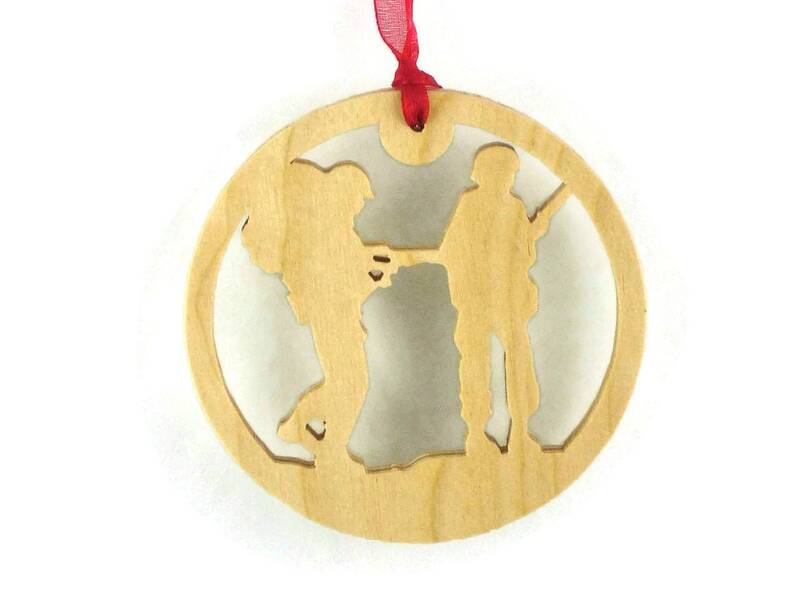 Topped off with a various colored fabric ribbon for ease of hanging.